Forget tire swings! This is what all the cool kids swing on. 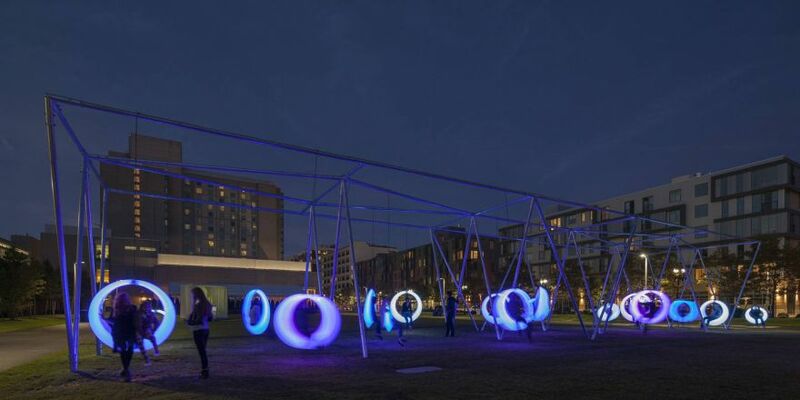 Eric Howeler and Meejin Yoon of the Boston-based Howeler+Yoon Architecture created a set of oval swings that glow when in use. LED lighting within the swing is controlled by a custom micro-controller, signaling the swing’s activity level. An internal accelerometer measures the acceleration forces of the swing. 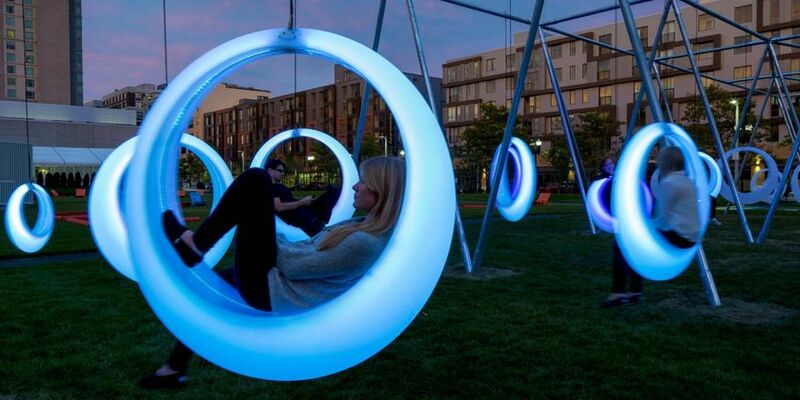 When forces are static and the swings are not in use, they emit a soft, white light that illuminates the area. When the swings are in motion, the micro-controller switches the light from white to purple, creating a more colorful glowing effect.